Chroma key compositing is a special effects technique for compositing (layering) two images or video streams together based on color hues (Chroma range). The technique has been used heavily in many fields to remove a background from the subject of a photo or video – particularly in news casting, motion picture and videogame industries. 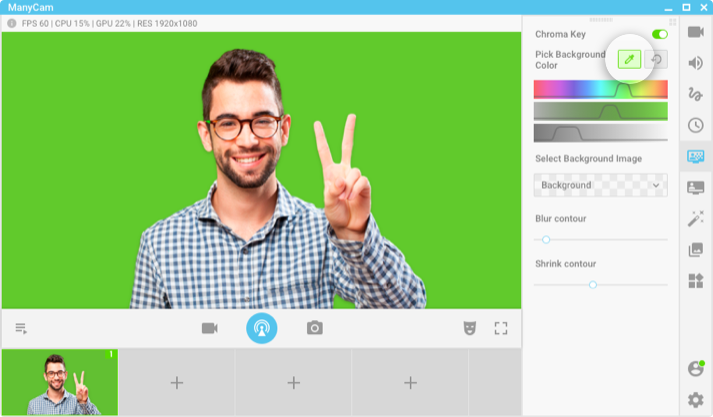 The ManyCam Chroma key feature allows you to remove your real background from the video stream and replace it with an image, video or any other supported video source. This can be achieved in several ways. Open the Chroma key tab and click on the On/Off button to enable the feature. The color picker control should now be active. 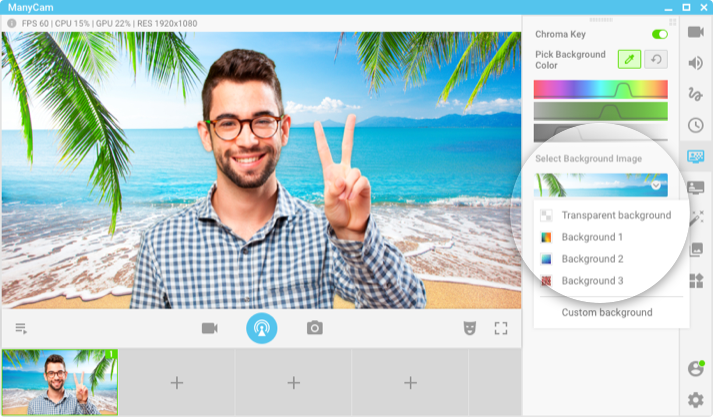 Using the color picker control, choose the color you want to remove from your video stream. The best results can be achieved if you have a green background (or any other color that differs from your clothes, otherwise they will be removed from the video as well). You can improve the quality by manually adjusting the Hue/Sat/Lum color components. The “Shrink” and “Blur” sliders on the right may be useful to hide some color removal errors. You can choose one of the predefined images as your background, or upload your own custom background. 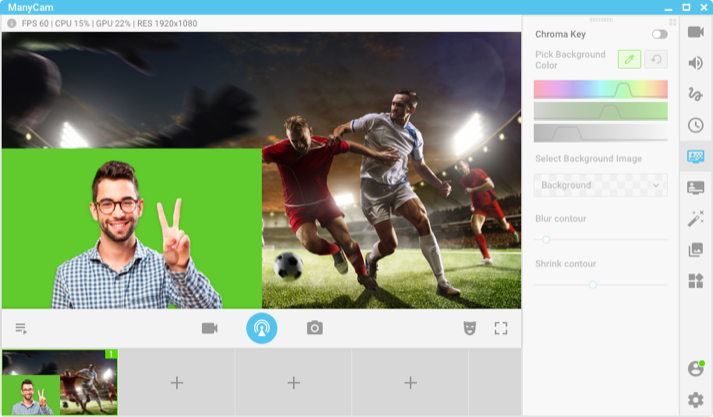 Using the picture in picture feature along with the Chroma key feature can provide a flexible way of using any video source supported in ManyCam as your background. Select the following picture in picture mode from the «Video tab». On the background picture, select any video source such as a movie, YouTube video, your desktop or any other supported video source. 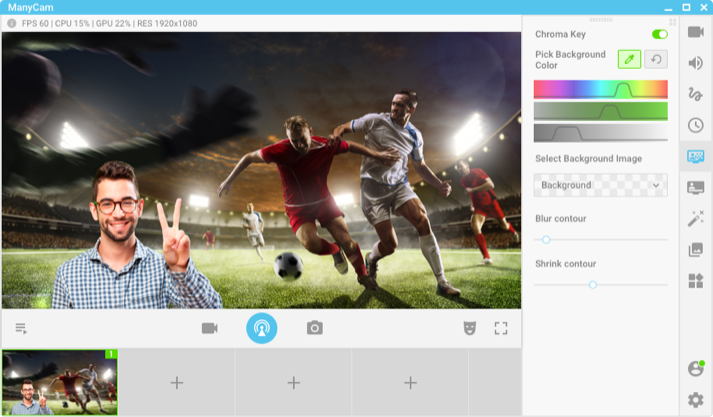 On the foreground picture, select your webcam as your video source.